Two Mind employees celebrate their 10 years at Mind ! 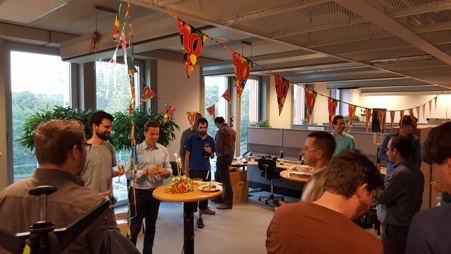 This Friday, Roeland and Adrien celebrated their 10 years at Mind ! Roeland and Adrien started at Mind on the very same day, 10 years ago, on September 3rd 2007. A lot of things have changed at Mind during these 10 years: the team has been growing, the technologies used have been evolving and improving, but one thing that has not changed is our passion for Linux and Open Source Software for Embedded Systems, and our objective of excellence in our domain. And today we can be proud that Mind is stronger and better than ever ! Congratulations Roeland and Adrien for your 10 years at Mind !